Margaux and Walter in their workshop. Meet our friends Margaux and Walter of Peg and Awl, makers of beautiful, well-crafted utilitarian goods. 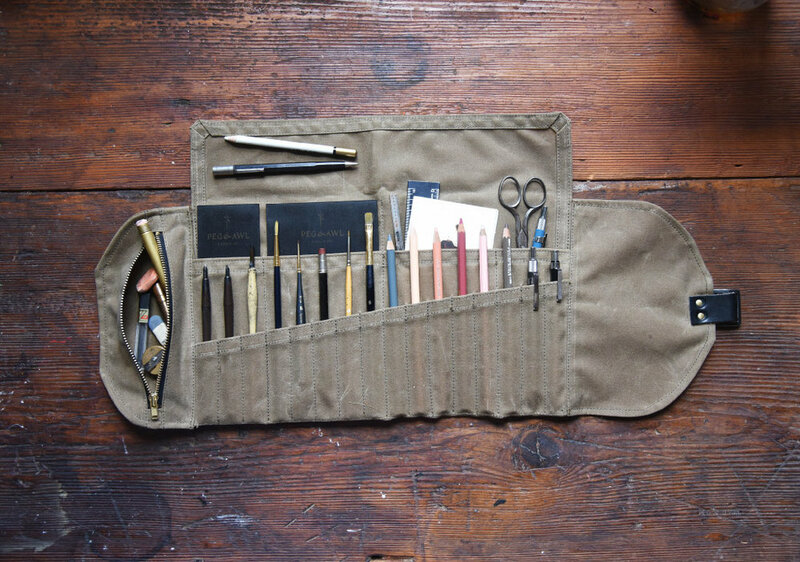 Peg and Awl has created a stunning, handmade utility roll for creatives called The Sendak Artist Roll that we’re excited to share as a Goodtype Featured Product! 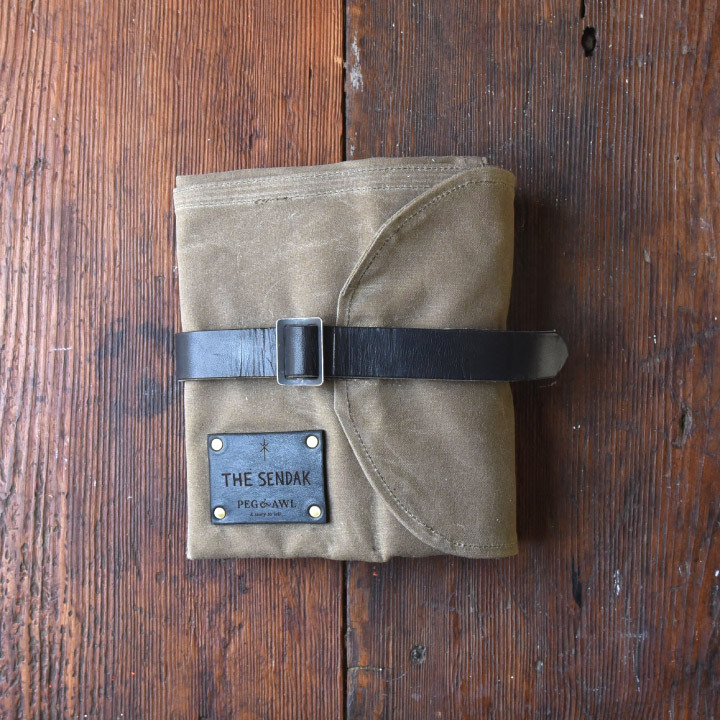 The Sendak Artist Roll features 16 pen/pencil-sized pockets, 4 inner flat pockets, 2 large outer pockets, and a zippered pocket with metal zipper, and is made with waxed canvas, sustainable organic leather, antique steel buckle, and brass rivets. Peg & Awl have also created an extra special artist roll just for Goodtype — there’s only one in the world — and we are giving it away to a Goodtype Newsletter member! One newsletter member will be selected at random on September 18th, 2017**. Not a newsletter member? Scroll to the bottom to join the party. **Product Giveaway Terms: To be eligible for product giveaway, your email must be subscribed to the Goodtype email newsletter by 12pm Central Daylight Time on September 18th, 2017. New and existing subscribers are eligible for selection in random drawing. Winner will be contacted via email.